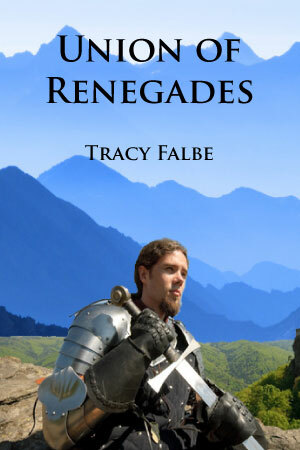 It’s hard to believe that it’s been 12 years since I published my first novel, Union of Renegades: The Rys Chronicles Book I.
It’s an ambitious epic fantasy that launches a four-book series that creates a seven-year saga. Taischek shifted in the saddle, his bones creaking with the leather, yet his blood pumped youthfully as he thought about his hated enemy. Sacking Dursalene was going to upset the Sabuto so much that Taischek almost wished he could stay behind to witness their prolonged distress. General Xander and Dreibrand flanked the King as the war party waited on the edge of the woods near the town. They had only to gallop across a few pastures to reach Dursalene, which appeared to still be ignorant of their presence. The night grew old and the dawn approached, and Dreibrand watched his warding crystal, waiting for the signal. Xander fidgeted on the other side of the King. “This had better work,” the General growled impatiently. Day broke quickly once the sun passed the Rysamand but Shan had yet to signal. With the day brightening, the Temu knew they would soon be spotted so close to the settlement. Shan had to hurry. Every bird chirp seemed like a squawk of alarm from Sabuto spies and the horses stomped, reflecting their riders’ nerves. 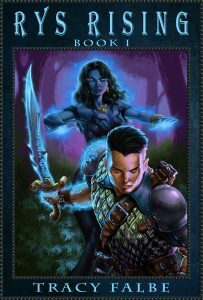 Taischek monitored the crystal in Dreibrand’s hand and continually glanced at the foreign warrior for an explanation. Taischek’s heart sank. He really wanted to raid Dursalene, and he had really believed in Shan. He did not understand how the rys could have failed, but he could not waste his warriors on a raid that could not succeed. “The time seems longer than it is,” Dreibrand offered. He had played a part in many great battles and victoriously stormed many eastern cities, so his nerve was slow to dissolve. He had battled on fields turned muddy with blood and the Sabuto town distressed him little. Dreibrand’s confidence encouraged Taischek, who decided to wait longer and was soon rewarded with the desired signal. Dreibrand held the glowing orb aloft so some of the Temu could see the bright blue light and know the time had arrived. Excitement rippled through the warriors and raised weapons clattered in the morning air. 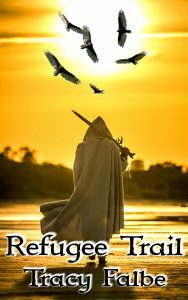 Dreibrand tucked away the warding crystal, tightened his grip on Starfield’s reins, and drew his sword. Also available in Audiobook! Enjoy a 19-hour audio adventure for only $8.99. Mp3 audio files delivered after payment. Pay with Credit Card or Paypal. See more about my fantasy audiobooks.